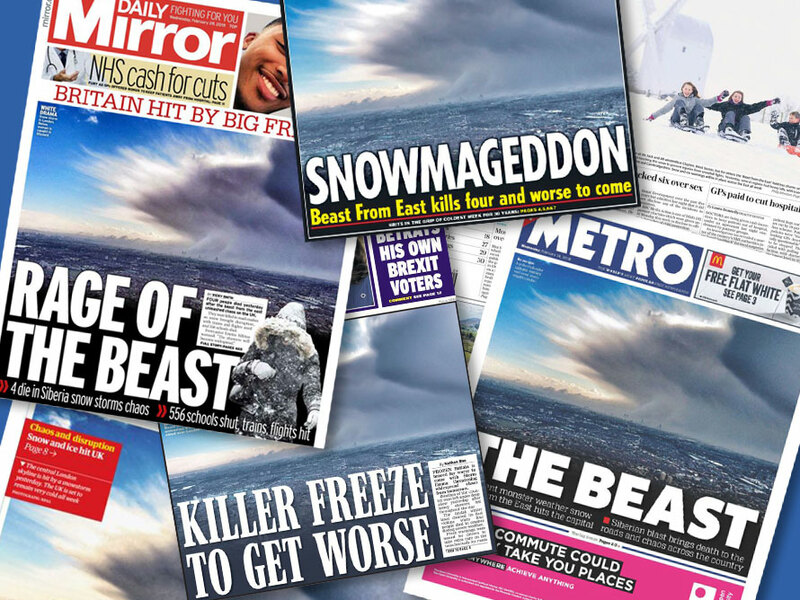 This week has been one for the history books in the UK, as weather conditions continuously got more and more intense in the anticipation of storm Emma, which was set to arrive on Thursday. Weather conditions across the UK have included rain, snow and freezing temperatures, with the worst affected areas being Scotland, North East England, East Anglia and Kent. So far, there has been one recorded death due to the weather conditions. A man in his 60s fell into Danson Park Lake, which was partly frozen over. The man was pulled out by a member of the public and taken via ambulance to a hospital, where he was later pronounced dead. This incident happened on Wednesday afternoon. Almost all trains and other forms of transport have been affected by the extreme conditions. And with the storm in full swing on Thursday, 50 stations in Kent were to be closed while rail passengers across the UK were urged not to travel if at all possible. Many railways planned to run amended timetables and passengers were asked to check these new timetables before boarding their usual trains. Traffic between Glasgow and Stirling, on the M80, on Wednesday afternoon/ evening was at a standstill, with some cars moving barely a mile in four hours. Emergency services had to intervene by not allowing any further cars onto the motorway. All flights out of Scotland were also delayed or cancelled due to the snow. This is somewhat of a first for Scotland, as it’s the first time in history that Scotland has been issued a red alert warning because of snow. Schools have also been affected by the crazy weather. Hundreds of schools across the UK are asking kids to stay at home because of the danger of being on the roads. This, in a way, entitles at least one parent to stay at home with the kids. The last time so many schools were closed was in December last year, because of Storm Caroline. Weather conditions are meant to continue along the wet, cold and snowy path until next week where the UK hopes to catch a break from the incessant snowfall. Thank you for the comment, I love reading your posts, Yahaya.